Lamentations 3:22-23 Because of the Lord’s great love we are not consumed, for his compassion’s never fail. They are new every morning; great is your faithfulness. Morning Glories are one of my favorite flowers, though I have been told they were weeds. Weed or not, I consider them a sign of hope, and I have loved them since I was a child. My mother had a friend, Lois, that I loved to go visit. She was kind, loving and gentle. She had a large house with many foster children and I used to wish I could go live with her. I realized that my desire to own a large home that was a safe place for children may have stemmed from the solace and safety I found at her house in spite of all the chaos 8-10 running, playing children could bring. 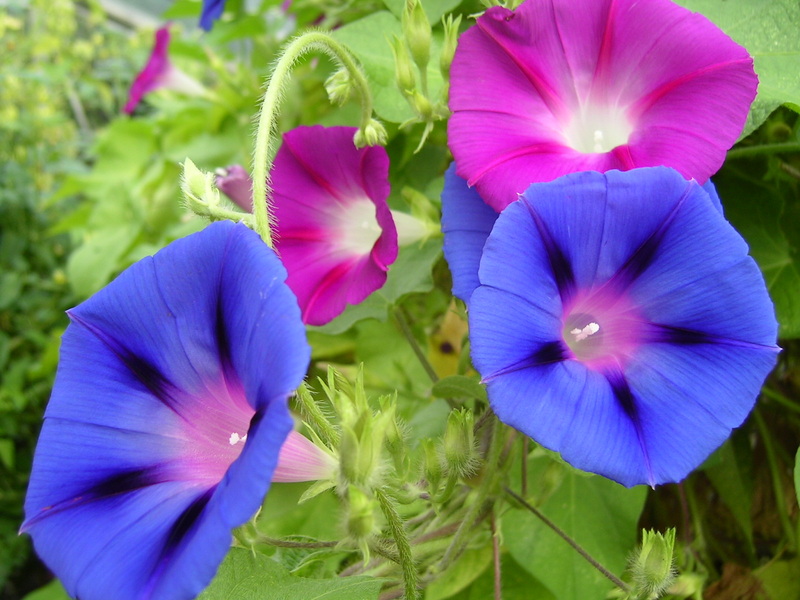 In her yard were morning glories. I was fascinated that they would open up in the morning and then be gone by afternoon. Like God’s mercy, new every morning. Lois died young, with her my hope for a safe and fun place was lost, along with morning glories. I have since learned and experienced God’s hope and yes His mercies are new every morning. This entry was posted in Compassion, Hope, Love, Uncategorized and tagged Compassion, Hope, Lamentations 3:22-23. Bookmark the permalink.